Fall has only now begun to rear its ugly head here in Sunny Fl but not even a week ago I was still able to enjoy a warm look for my new favorite item ie. 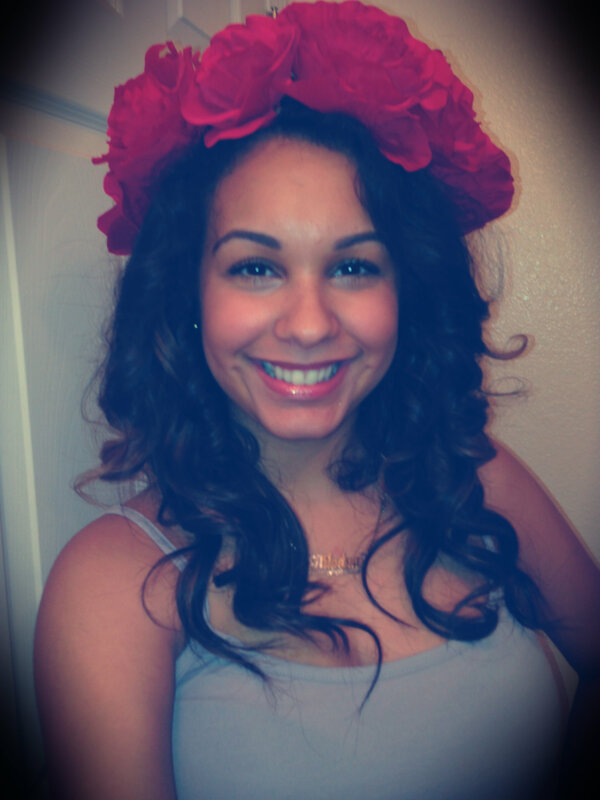 this red rose head band. 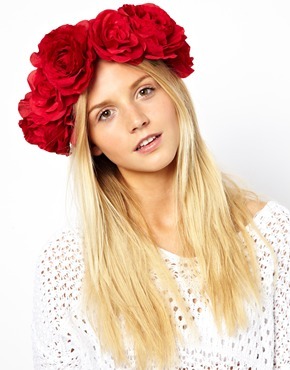 I purchased this on ASOS (still available on the site) and I thought it could go well with my year round summer attire and also be tweaked to go with fall looks since the red would also look great with jewel tones and fun stockings or tights. 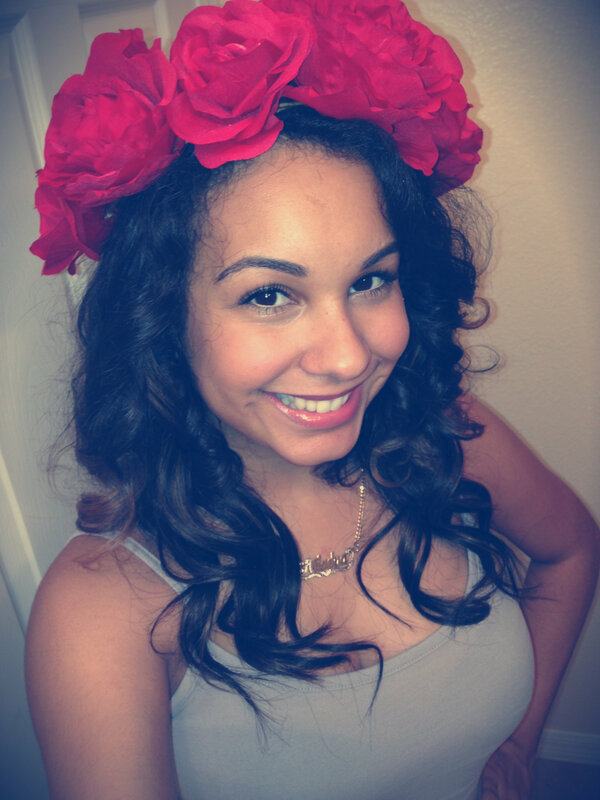 This rose garland has XL flowers attached to a woven wire band and sits perfectly (even tried it with my curly hair). The only con I could think is that it eventually became a little uncomfortable with long day wear (such as any other headband I suppose) as the woven wire puts slight pressure after a while. This could have been due to my clip in extensions as well (stay tuned for a post on those babies). Overall I received so many compliments/comments and concerns over this look. 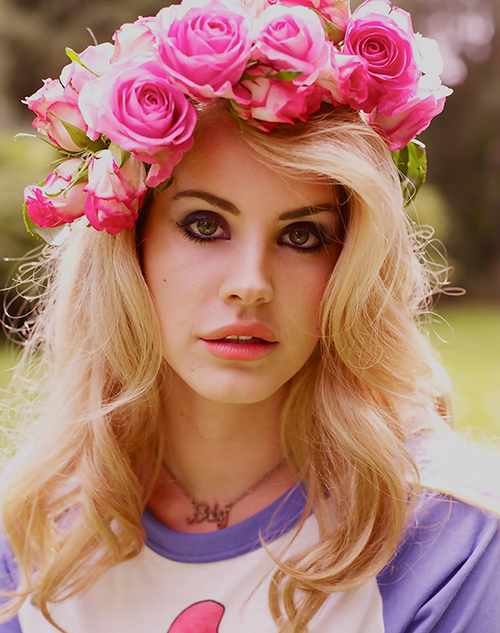 I felt very Lana Del Rey and effervescent. If I had the funds I would have definitely made my way over to Orlando’s Electric Daisy Carnival (hosted last week) and fit right in with the throngs of hipster chicks in cutoffs and fringe and been a happy unicorn. This maxi skirt and tank top look is great for an event like EDC (or any other musical festival of any kind), causal day outing, or even paired with warmer attire for a completely different take on the roses. Links below. Enjoy!